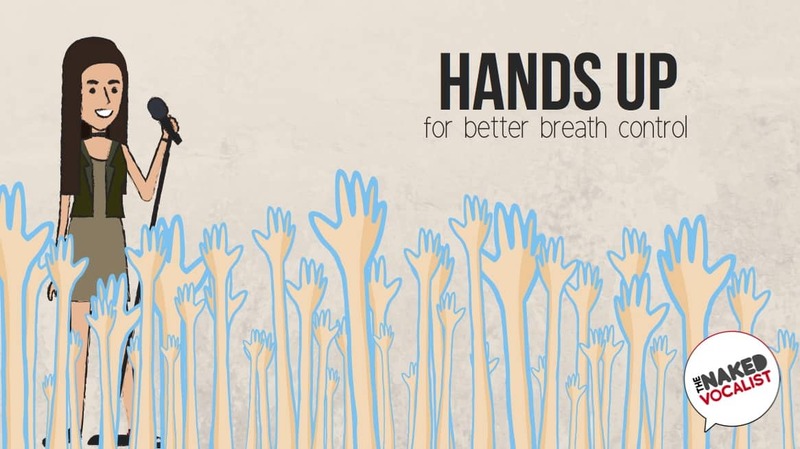 Use your arms for better breath control in singing! I’ve heard many names for this simple little exercise. Hallelujah hands, Stick ‘em up, etc. Or you could go with my distinctly unsexy ‘Hands In The Air’? That’s why I have a failed marketing career. Despite being welcome relief in times of vocal stress, this exercise can help singers to adopt a different way of standing. The knock-on effect is better breath control in singing. For teachers, it also provides you with info on what’s getting in the way of clients progress, so you can march on confidently with the right training regime. So, whether you’re singing or teaching, this article is for you! For the impatient (or maybe efficient?) ones, here’s what you do. The question is: did it work for you? “how do I sing without looking like I’m being held at gun point?”. That’s a great question. Read on if you’re interested to know why this could be working for you, how to get that loveliness with your arms down (that’s near the end, bottom skippers! ), or if you’re a teacher using this exercise to help your clients. So let’s start with our air balloon. The ribcage contains our lungs and our lungs contain the air we need to sing on. That means if we have trouble with our ribcage, we may have trouble with breathing for speaking and/or singing. Simple. The ribcage, being that it’s right smack bang in the middle of loads of attachments, can get in a pickle occasionally. Your head and neck sits on top of it, your arms hang from it, your spine runs up the back of it, it sits on top of your legs and pelvis, and it’s covered in some big, strong muscles. Especially the vanity ones like the pecs and the elusive 6-pack. In any case, these activities leave our backs rounded, our fronts all tight and our posture imbalanced. Essentially, we resemble prawns. This curled, collapsed chest shape makes it quite a bit harder to breath! Try a good old slouch right now and see how hard it is to take a good breath in. If you raise your arms above your head it can encourage to you stand. Like actually stand. That will influence your ribcage to be more open for sure. Furthermore, the movement of the shoulders up and back takes advantage of their attachments to the ribs, lifting them up to assist in taking air in to the lungs. For you body nerds out there, a couple of main attachments are the pectoralis minor and serratus anterior. These muscles can influence the scapula round to move the shoulder forward and down (singing no no) OR assist in lifting the ribs for an easy in-breath (singing boom boom). Posture and shoulder alignment will hugely influence whether you’re a no no or a boom boom. Teachers…. this is why the shoulder needs more attention in singing. Out of position, it can play havoc with the ribs and breath control! Subscribe to our email list for more useful singing stuff! After all, the hands in the air with leave you in a more ‘inspired’ position. I don’t mean the ideas will come flooding in for your first million. Rather, I mean that our body is a little more primed to allow breath in easily and push it out little less. The basis of breath control in singing…. a steady flow of air! With some balance restored to the ribcage we can now enjoy a more balanced air pressure to sing on. In addition, your body can quickly readjust the muscles used for singing. Hopefully, transferring some of the responsibility to the “lower abdominal muscles and pelvic muscles… and ensures a steady expiratory flow of air”. Having these muscles firmly part of the process is important, as mentioned by previous podcast guest, Dr. Meribeth Dayme in Dynamics of the Singing Voice. My marketing prowess strikes again! Quick fix, I know. But hey, why not tailor your shows to have high hands on the tricky bits in the short term. That doesn’t help to solve it in the long term necessarily, but our voices might welcome the relief while the habit is being worked on. Even a lift of the elbows outwards towards the height of the shoulder may be enough. That could easily be an emotional gesture, like running your fingers through your hair. Whatever you do, you can get creative and hide your technique as performance! The greats do it, why shouldn’t you? If we distract the muscles we DON’T want enough times the habit may break. Incorporating the hands in the air, or any type of lifted arm, frequently in your workouts can lessen the problem and give you another experience. The key to retaining such a scenario is to be perceptive to what you’re feeling in your body, and hearing in your voice, between hands up and down. That’s admittedly part of a deeper principle of learning which you may need help with. Despite that, if you know the experience well from repetition, aim for the experience each time you sing. It helps when singers create mental images and queues of the experience to bring this technique together efficiently in the moment. An upper body that feels ‘floaty’ and ‘buoyant’ are descriptive terms I’ve heard singers effectively use effectively. “Singing with an elevated ribcage wall position is mechanically desirable”. TJ Hixon, Respiratory Function In Singing. If we know that a collapsed ribcage isn’t going to help much, it’s not much good hoisting the ribcage high to avoid it either. Actively holding or fixing the ribcage in this way switches on some other problematic muscles, might over extend your back and can also affect singing negatively. You might also look like you’re in a military parade for pigeons. Instead, a common and quick way of transferring this exercise into your singing is to pay particular attention to HOW ‘hands in the air’ positions your ribcage. It will contribute towards a ‘noble’ sort of posture which Mr. Hixon notes as desirable. As instructed by Dr’s Titze and Verdolini in Vocology, raise your arms above your head and touch your hands with fully extended elbows. Whilst in this position, breathe calmly and deeply several times and notice the different movement in your body. Avoid the ribcage sinking quickly on the exhale or in general. Now, lower your arms whilst retaining the positioning of the slightly more ‘noble’ chest. Keep head and eyes forward. It’s important to start moving around and voicing at this point to make sure your new posture remains flexible. The exercises above can certainly help. However, the muscular imbalances in our body can sometimes be a bit chronic. The resting tension in muscle can be strong enough to need you to stretch it out. Alternatively you might need to get your masseurs elbow where you’ve never had an elbow. Posture is also biggun. 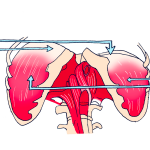 When the pelvis is out of line, for example, it can change how the lower abs and breathing muscles function. If the helpful breathing muscles (of which the transverse abdominus is one) are over stretched by dodgy posture, the ribcage might suffer down the line. If you’re having trouble generally getting your hands above your head then you could put money on your shoulder blades, and the interaction of the muscles that move them, are misaligned enough to need addressing ASAP. These ALL directly affect your ribs and breath control in singing. 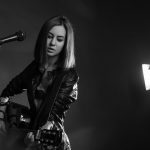 If you can’t quite manage to get a similar experience with your hands down, then it’s probably time to get some assistance from a specialist vocal coach. Voice and performance osteopaths are an amazing resource too. They can help you find the weakness in the chain that’s causing those ribs to be a pain. I also recommend exploring the wonderful work of Feldenkrais and Alexander Technique to enhance your body awareness. I’ve found over the years that body awareness is key to learning skills and solving problems, but many of us have so little of it. Please hit me up with comments below and let me know what’s happening with your singing when performing this simple physical change. And, as most advice in singing goes, experience your voice with your hands in the air and notice it. Don’t judge it, just observe. Feel. Enjoy. Take your time. 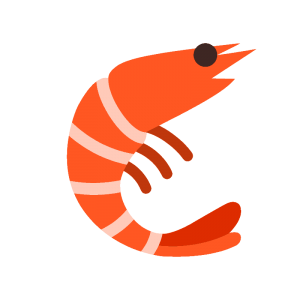 Don’t be a prawn. 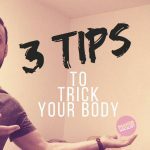 3 Tips To Trick Your Body And Voice Into Chilling! Straightforward description of breath management for all singers. Love this site! Hi Dianne! Thank you very much 🙂 Stay in touch!